When I was a child, my mother used to make us elderflower pancakes every year, as soon as the big elder bushes up the street began to burst into bloom. 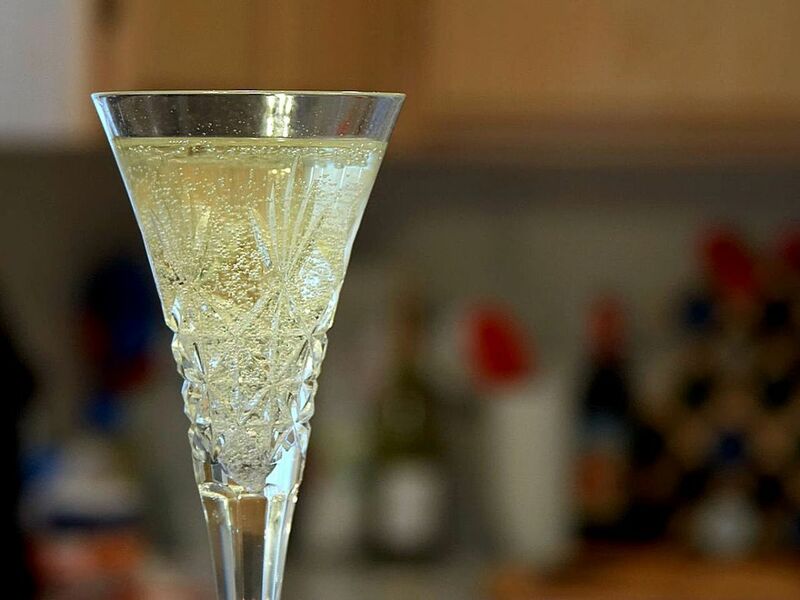 I've always loved the delicate, sweet and aromatic flavor of elderflowers, so I began experimenting with adding them to different kinds of recipes. The result? Tasty elderflower muffins! 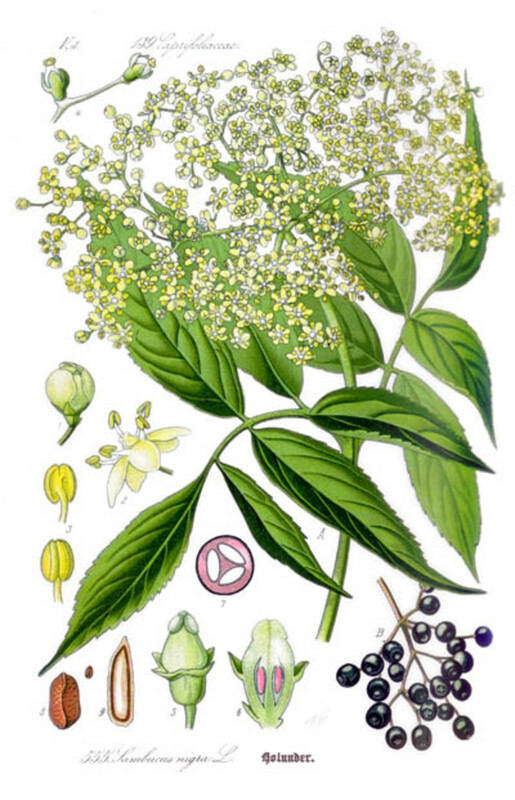 Best of all, elderflowers and elderberries are great for boosting the immune system -- if you think you're coming down with something, try a few of these and you might not get sick after all! If you're using fresh elderflowers, remove them from their stems. Do not wash. Mix together dry ingredients, then mix wet ingredients in a separate bowl. Pour into lightly greased muffin tins, and bake for 25 minutes. 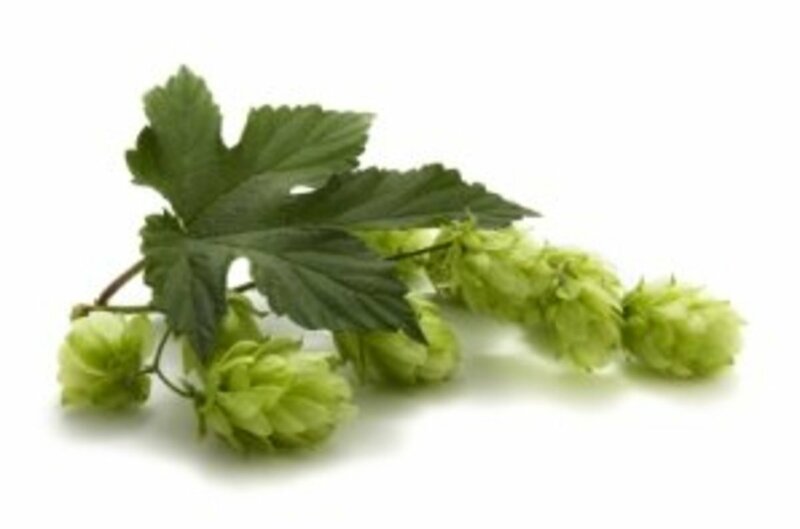 The green stems taste bitter, and can make a person sick if they eat too many, so it's important to remove the flowers from the stems. If you choose the older flower clusters, the flowers will fall off quite easily. 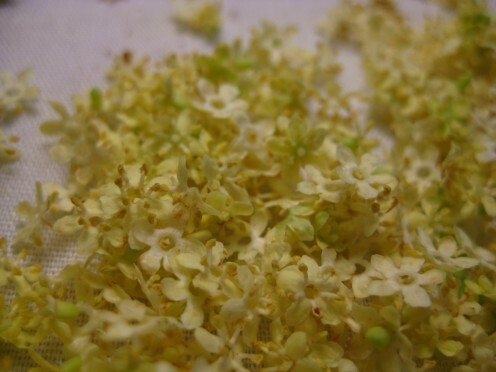 Don't wash the elderflowers while preparing them, because most of the flavor comes from the pollen inside the flowers, and you don't want to wash it all away. 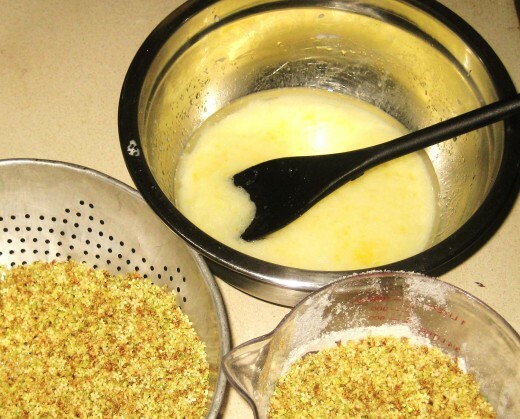 In one bowl, mix together the oil, egg, and milk. If you're using berries or nuts, add them in too. In a second bowl, mix together the sugar, salt, flour, baking powder, and elderflowers, stirring well. Pour the dry ingredients into the wet, and mix briefly with a large spoon. Try to moisten all the batter, but it is very important to not over-mix! Twenty or so strokes should be enough, and it's all right if there are still a few small dry pieces. The batter will look lumpy - don't worry, it's supposed to. 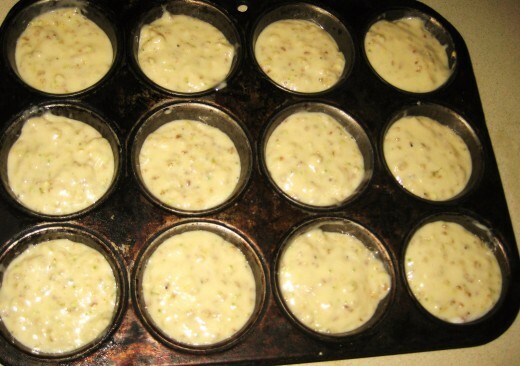 Lightly oil a muffin tin, and spoon the batter into it. You can fill each cup nearly to the top. If you spill any outside the cups, wipe it up with a napkin or paper towel before you bake it, so it doesn't burn. Put the whole thing into a preheated, 400F oven, and set a timer for 25 minutes. 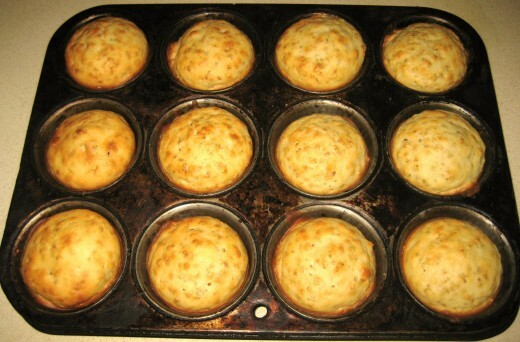 The muffins should be golden-brown on top, and a butter knife inserted into the center should come out clean. 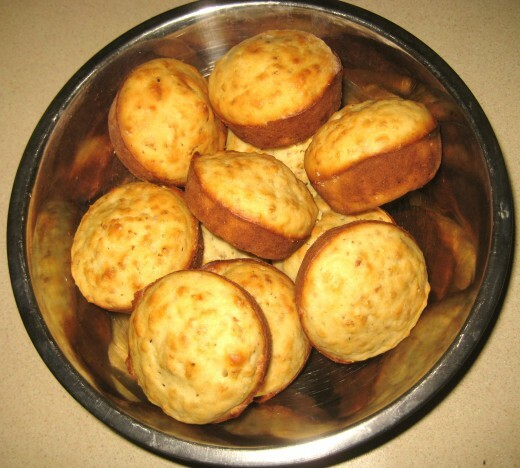 I run the butter knife around the edges of each muffin to loosen it, then just pop them out. I like to serve these in a small basket or bowl set in the middle of the table. Best served warm. 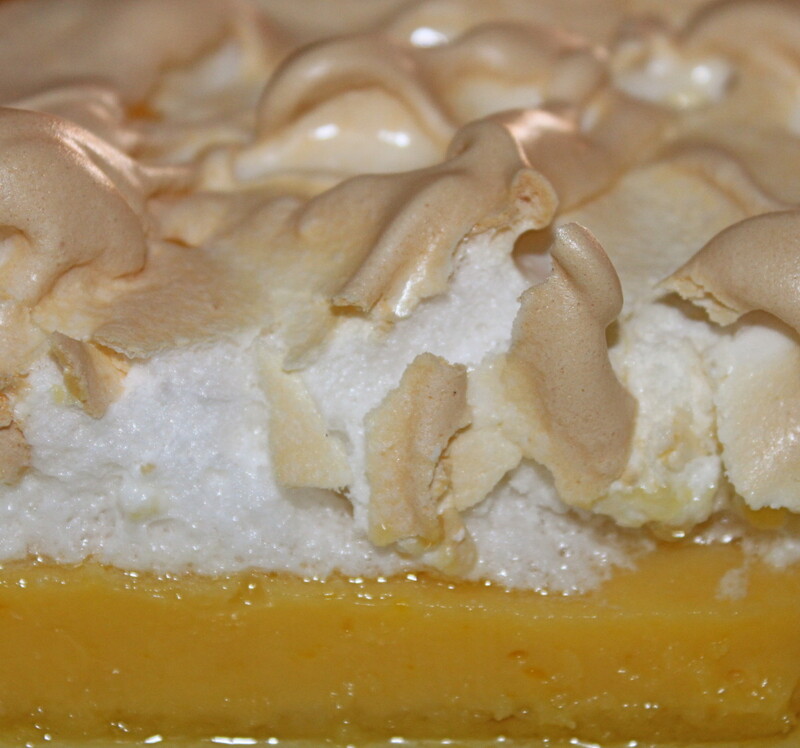 Now that you have the basic recipe, experiment with it and tweak it to suit your fancy. You can add different kinds of fruit, or nuts, or anything you like. 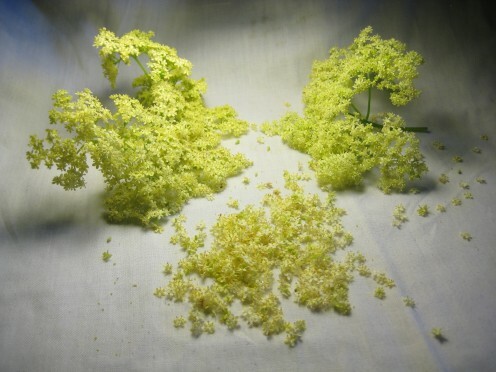 Have you ever cooked with elderflowers? How to make English Muffins. Coffee-Break, I missed the season too this year...I meant to get out and replenish my supply. I guess I'll have to wait for next year to make these again! Too bad the elderflower season is so short. This year I totally missed it. I will definitely try your recipe, seems very interesting. Orange zest is a great idea, and I might just try it next time I make them. Delicious! My Sunday afternoon cooking session yielded me twelve very tasty elder flower muffins! I used black lace elder flower; your photos and explanations about how to prepare fresh flowers were really helpful. It took me maybe fifteen minutes to get 1/2 a cup of flowers from the tree. They turned out great! And I got satisfied looks from the rest of my family. Next time I might put in a bit of orange zest, or blackberries as you suggest! Interesting recipe. I've never heard of adding elderflower to muffins before but this does look good. 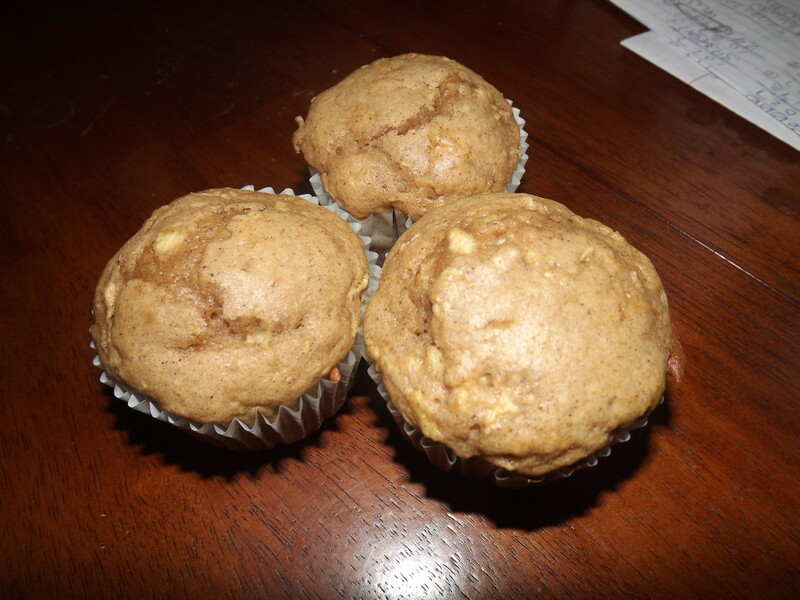 Your image of the elderflower muffins look tasty and delicious. Now I want to have some. Your other pictures were also helpful in showing how to make the muffins. Wow. 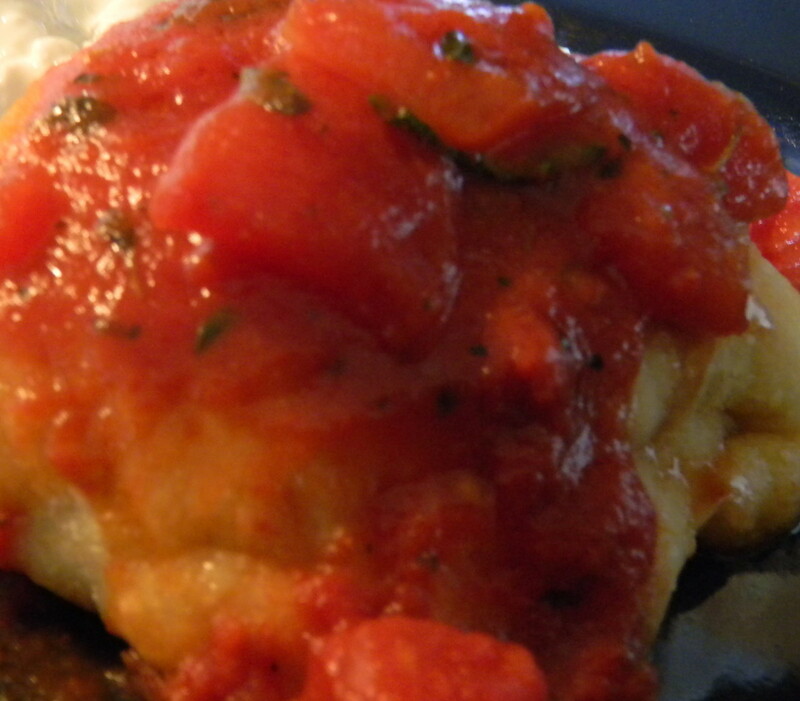 Great collection of delicious recipes.